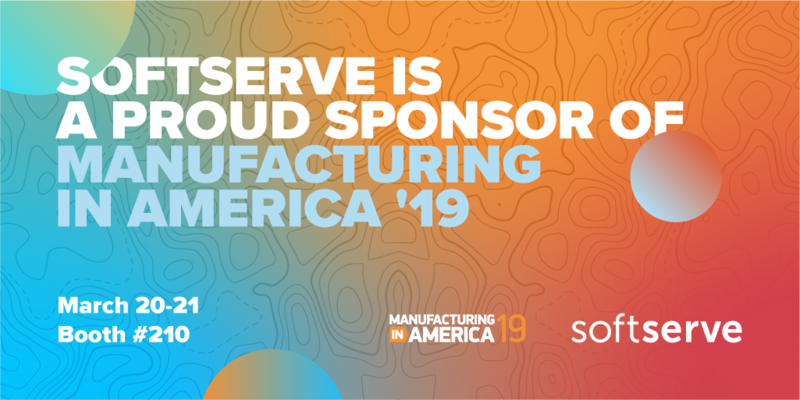 SoftServe is proud to be an exhibitor at Manufacturing in America 2019! The annual Manufacturing in America event—presented by Siemens and Electro-Matic—is back at Ford Field in 2019! Over 3,200 attendees attended the 2018 event to participate in over 100 different automation and control technology seminars. These included over 50 hands-on demonstrations of the latest innovations in the areas of safety, energy savings, and automation solutions. The internet of things (IoT) is changing the way manufacturing does business. Fully leveraging IoT in today’s Industry 4.0 marketplace requires application solutions and connected products that enable disruptive, “pay for service” business models. SoftServe takes a holistic approach to delivering comprehensive IoT solutions—best practices and strategies, development of custom solutions, and products and IoT security. Using merged reality, data is synchronized between an Apple Watch (which measures a user’s pulse) and smart glasses to generate a 3D heart model. Equipped with a multipoint control unit (MCU), Bluetooth communication modules monitor ambient conditions of the environment and alert a user’s smartphone when a threshold is passed. Visit our SoftServe experts at booth #210 in the Adams St. Concourse to learn more about us!